In order to scan a website located on your internal network, and not accessible from the internet, you can install and configure a scan agent on your network. The agent will conduct the actual scan job and then report the results back to Netsparker Enterprise. 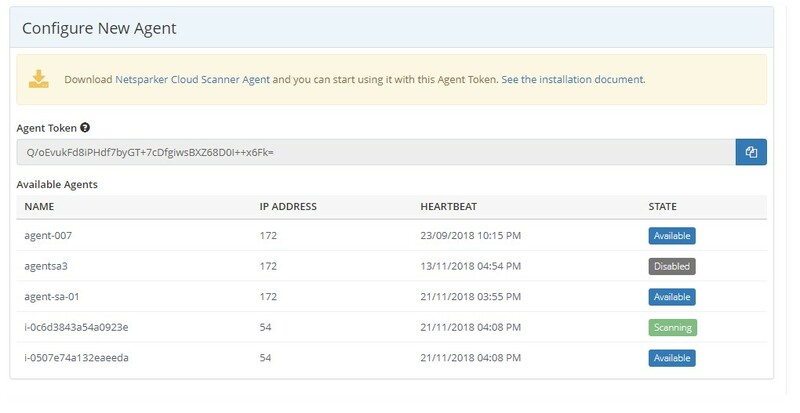 First, you need to download the installation files of the scan agent and install them on a machine in your internal network. Click Configure New Agent. The Configure New Agent window is displayed. Click to download the Netsparker Enterprise Scanner Agent. Your Agent Token is also displayed. 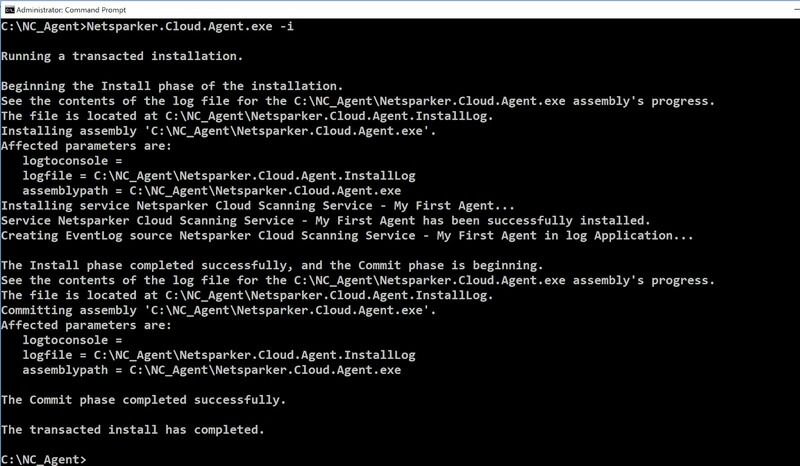 Open the C:\NC_Agent\Netsparker.Cloud.Agent.exe.config file with your preferred text editor. In Netsparker, the Agent Token is displayed in the Configure New Agent window. Copy it into the apiToken. Save and close the C:\NC_Agent\Netsparker.Cloud.Agent.exe.config file. An internal scan agent should be configured as a Windows service, so that it can poll the Netsparker Enterprise servers regularly, and can take the scan initiation command from the server. Open a command prompt in Administrator mode and add 'cd' into C:\NC_Agent. Press Windows+R, type 'services.msc' and press Enter. Find 'Netsparker Enterprise Scanning Service - [YOUR_AGENT_NAME]'. Make sure Startup type is set to Automatic, and click Start. Click Apply and OK, then exit the Properties window. The Netsparker Enterprise Scanning Agent is now running on your network, shortly it will be registered to Netsparker Enterprise. You can uninstall the Windows Service by specifying the -u argument instead of the -i argument used during the Installation process. 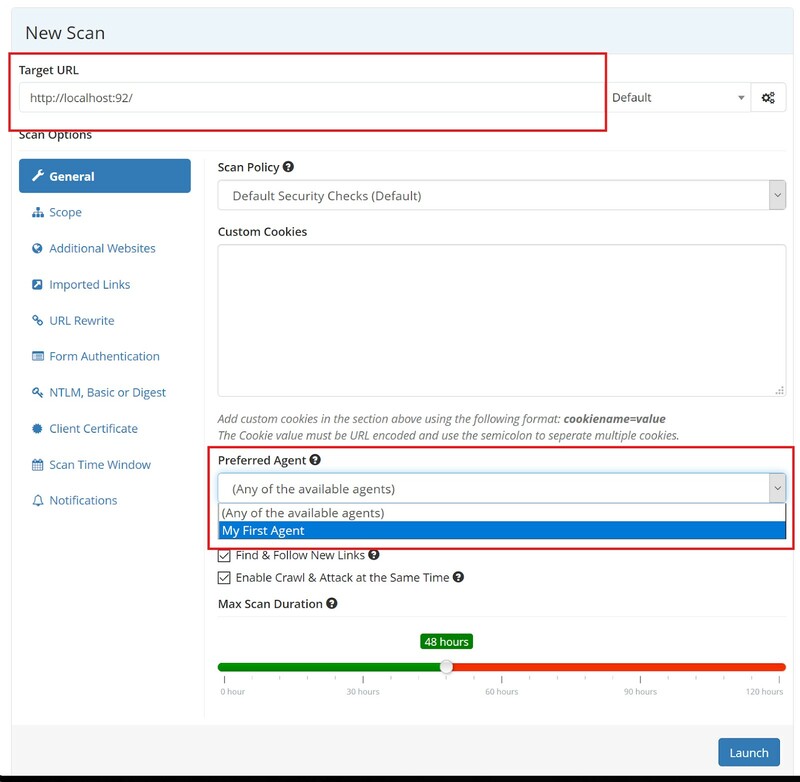 Now, you have installed scan agents into your infrastructure, you should configure Netsparker Enterprise to let it know which websites should be scanned with an internal agent rather than with the built in agents. From the main menu, click Websites, then New Website. The New Website window is displayed. 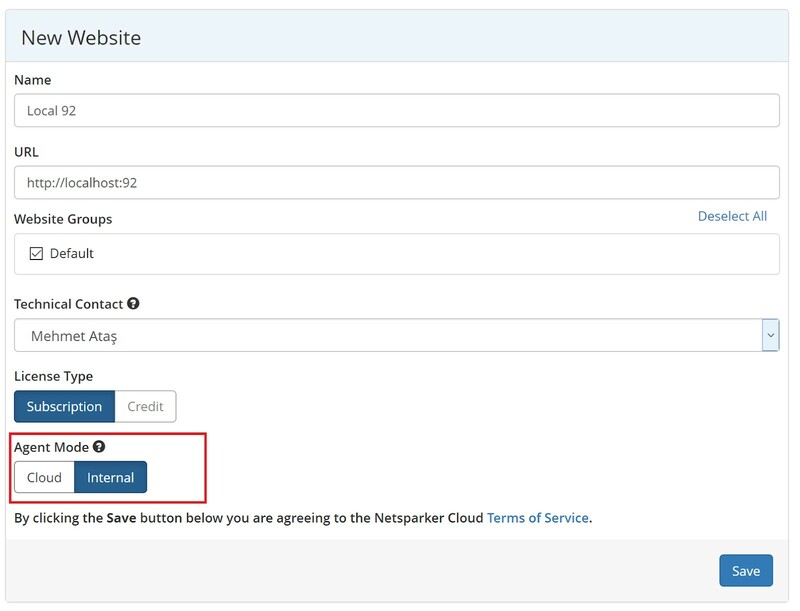 Enter your internal website details (see Adding a Website in Netsparker Enterprise). From the Agent mode field, select Internal. Click Save. The Websites window is displayed. Next to the Internal Website you have created, click Scan . The New Scan window is displayed. From the Target URL field, select your Internal Website (if the field is not already populated). The Preferred Agent field is already selected by default. Your newly installed scanning Agent is displayed as an option. If you installed more than one instance, select the one which can access your Internal Website. If any of them can access your Internal Website, select the default option, Any of the available agents. By selecting this, one of the idle agents will scan your website. Your scan has been started in the Queued state. Shortly, you will see that it’s status changes to Scanning. Once it is completed, you will be able to explore the vulnerabilities found on your website.